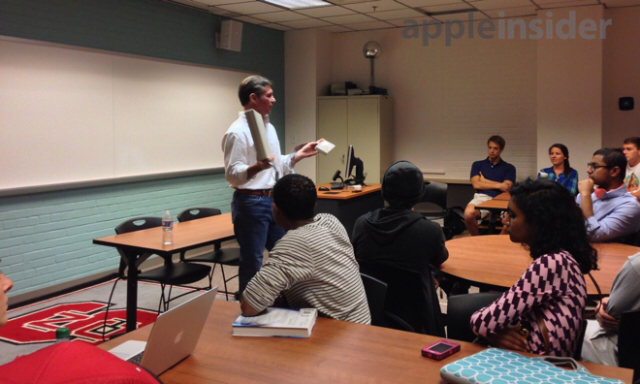 AuthenTech co-founder, F. Scott Moody, gave a presentation of the origins of Apple's new Touch ID Fingerprint Sensor at North Carolina State University's Department of Industrial and Systems Engineering on Tuesday. 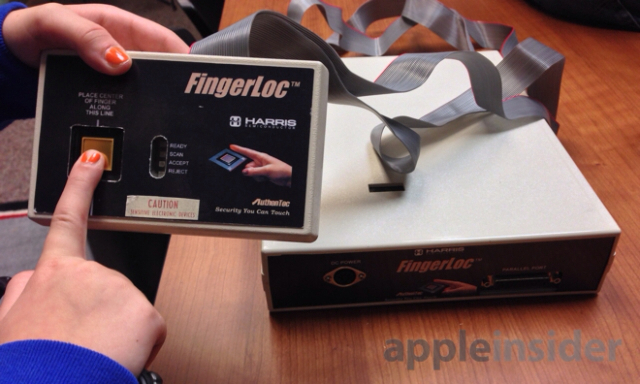 AppleInsider was on hand for the presentation where Moody revealed that the first version of the sensor was called FingerLoc. 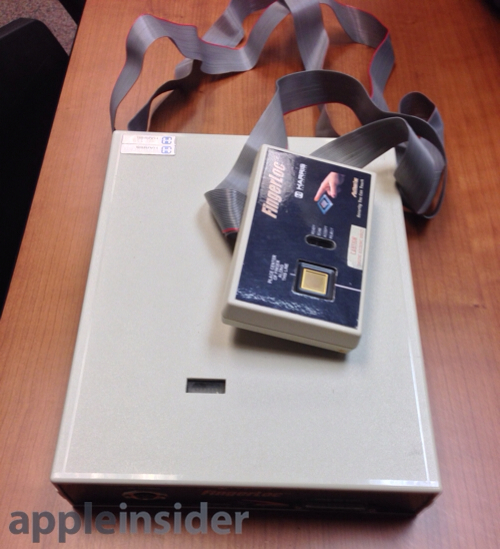 The sensor came in a large box much bigger than an iPhone and was connected via a ribbon cable to an even larger device that powered it. The company took its prototype and demoed it to various high tech companies. Unfortunately, the demo sometimes didn't go as planned. For example, it identified IBM's CTO as AuthenTec co-founder Dale Setlak. Eventually the 'piece of silicon' that drove FingerLoc was improved over time. "We convinced people that the signal processing and work could be shrunk into an exceedingly small sensor that we eventually got down to 80 cents," said Moody. As AuthenTec resolved the size and technology issues with their sensor, they generated interest from various customers including Apple, Motorola, and Fujitsu. Eventually Apple bought the entire company for $356 million. "We had a great team of engineers — which I think is highlighted by the fact that Apple kept the engineering team," he said. Moody also noted that the company was driven by a desire to make user's lives easier. "I didn't care about government standards for fingerprint sensors, I cared about low cost and identifying you in a cheap and accurate way," he said. "I'm not hooked to the tech, but what I'm hooked into is what the tech can do for you, the user." This just proves how fast technology progresses, from that big box to just under 1" size.